Munich, 23rd November 2015: The European Expert Group for IT-Security (EICAR) has, as part of its initiative EICAR Minimum Standards, certified the first IT-security testing lab. AV-Comparatives (http://www.av-comparatives.org), based in Austria, satisfies all of EICAR’s standards. EICAR’s strategy targets improved transparency in today’s IT-security environment, with its constantly evolving threats and vulnerabilities, and so aims to increase trust in the available security products. Why are minimum standards required for AV testing labs? AV testing labs gain a deep understanding of the functionality of the products they test. This means they acquire a high level of responsibility for the handling of computer viruses and other malicious programs, as well as for the analysis and presentation of the test results they obtain. An AV testing lab certified by EICAR demonstrates that it upholds the requirements of the EICAR Minimum Standard. "Having achieved ISO certification, we are now very pleased to be the first IT-security lab to have implemented the EICAR Standard with our tests”, commented Andreas Clementi, CEO of AV-Comparatives. “As a lab that works very closely with the University of Innsbruck in the area of science and technology, we are delighted to have another highly valued partner in the form of the EICAR expert group". Including testing labs in the initiative is very important to EICAR. Co-operation with certified labs removes doubt from the testing procedure by ensuring that specified standards are maintained for all tested products, and that results can be verified with product manufacturers on a basis of trust. Additionally, the certification ensures responsible handling of viral code by the testing institute, and that any customer data involved is handled in accordance with data-protection regulations. “The certification of testing labs is very important to us”, said Rainer Fahs, Chairman of EICAR. “We know that we can rely 100% on certified testers, and that their tests are carried out in complete accordance with our standards”. 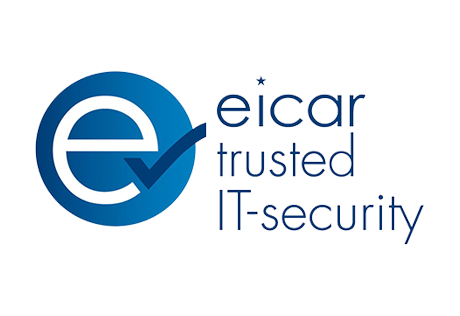 The non-profit organisation EICAR is an international, independent expert group in the area of IT security. It is composed largely of independent representatives from the fields of research and development, academia and industry. On behalf of end users, EICAR promotes improved IT-security solutions and awareness. The EICAR Minimum Standard is a part of this work.